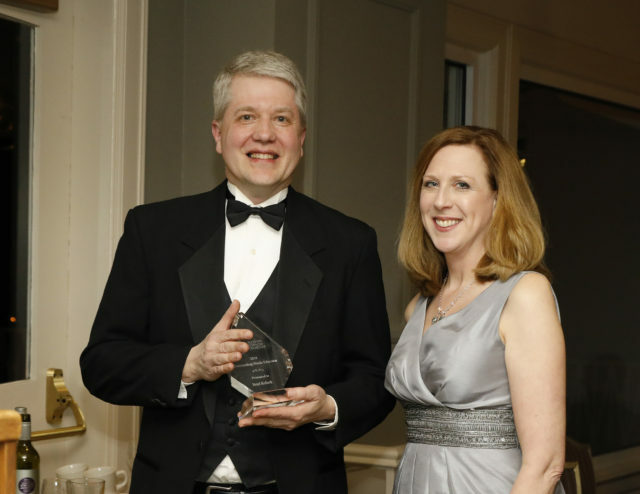 Brad Koloch, Outstanding Educator with Rockford Symphony Orchestra executive director Julie Thomas. 2019 Outstanding Music Educator of the Year. Brad Koloch received his B.A. Music-Comprehensive with an emphasis in Choral Conducting and Composition from Northern Illinois University. He attained a M.M. Choral Conducting from Arizona State University, where he also completed the Post Baccalaureate Teaching Certification program. Brad has been an Elementary Music Specialist at Kishwaukee School in the Rockford School District 205 since 1993, having been awarded the Golden Apple for Teaching Excellence in 2000. He also has served as the Associate Director for the Kantorei Boys Choir for 12 years. Most recently Brad has served as the ACDA Boychoir Repertoire and Standards Chair for the Central Division. He is actively involved in the 21st Century After School Tutoring Program, and serves as the choir, rap, and guitar instructor for the Rockford Park District’s Totally Arts Summer Program. This fall Brad will be the new Director of the RPS205 All-City Elementary Choir. He currently resides in Belvidere with his lovely wife, Toni, and six of their nine children. In 2016 the Rockford Symphony Orchestra created the Outstanding Music Educator Award to recognize an outstanding music educator in our community. 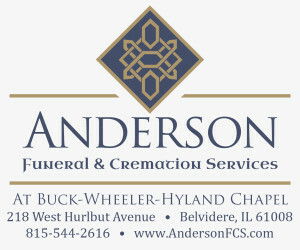 For complete article, pick up the April 4 Belvidere Republican.